On February 3, 2016 the CAMY Fund went on its first site visit of the year to see the work of Organization for Youth Empowerment – OYE in Honduras. OYE is a grantee partner of the CAMY Fund from 2014 and their funding was renewed in October 2015 for them to continue their work to increase the number of Basic Education Center’s (CEBs by their initials in Spanish) in El Progreso that provide comprehensive sexuality education. 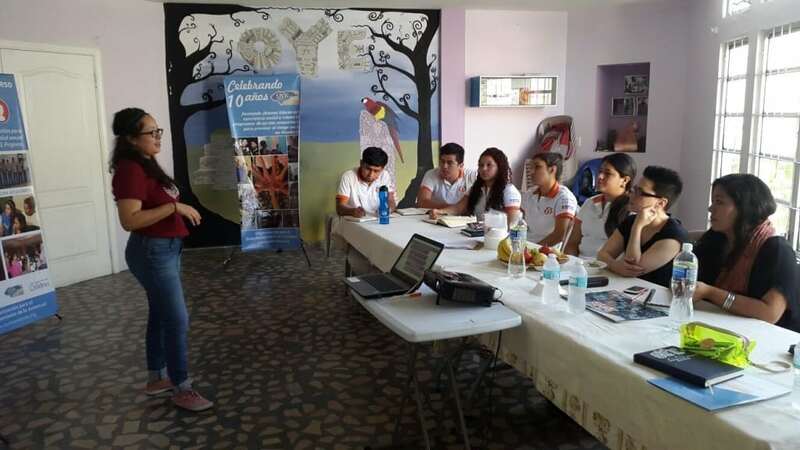 OYE’s project with the CAMY Fund, CREA El Progreso: Creating Friendly Spaces to Promote Comprehensive Sexuality Education in El Progreso, has expanded this year into more schools. For example, last year they trained teachers and middle school students (grades 7-9) from three CEBs on an adaptation of the standard government comprehensive sexuality education curriculum, and this year they will be working in five schools. They have also obtained additional funding that has allowed them to broaden and complement the curriculum with content on masculinities and with extra-curricular activities such as sports and photography. Since this is the second year of the project, OYE will be providing follow-up, via life skills training, to a select group of students that were trained last year in addition to reaching 450 new students with the basic curriculum, of which 100 will be provided with additional sexual and reproductive health training. One of the major changes to the project’s implementation is that this year’s project is being led by a new project leader, Fabiola Oro. Fabiola is 24 years old and has been part of OYE since 2010, when she was provided with a scholarship from the organization to complete her degree in journalism. 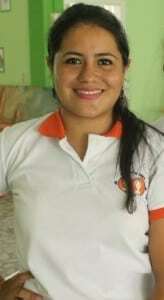 She was a facilitator for the CREA project last year and was recently selected as a Let Girls Lead Champion in Honduras. Fabiola Oro, CREA Project Leader. For our visit we met with two Directors at different CEBs where OYE will be starting work this year. Both directors were very clear about the need to implement comprehensive sexuality education in their schools and their commitment to collaborating with OYE. Neither of them have had access to the curriculum that was developed several years ago by the Honduran government in collaboration with UNFPA Honduras. Following the meeting with the Directors, Wendy Aguilar, the CAMY Fund Program Officer in Honduras, and myself met with OYE staff and project facilitators to discuss the results and lessons learned from last year’s project. Dunia Perdomo, last year’s project leader and the Programs Coordinator at OYE, led the presentation. In addition to the success of the CREA project, last year was particularly momentous for OYE. Some highlight are their 10 year anniversary, their first place prize for a video they produced and submitted for a contest organized by the Alliance for Peace and Justice (APJ), and an International Spotlight Award presented by the National Arts and Humanities Youth Program Awards, which is an initiative of the President’s Committee on the Arts and the Humanities. After lunch, we sat in on an orientation session for the photography workshop for students that participated in the project last year. I was particularly impressed that they left their school setting to come to OYE’s office for this session and their obvious continued interest in participating in OYE’s programs. All in all, it was an excellent and informative visit with OYE’s team and beneficiaries and I look forward to hearing about their advances this year, including their efforts to make the project sustainable over time.